Are you finding it difficult to get your kids to unhand their devices even while out of the house? Do your children want to know what the Wi-Fi password is even before you sit down to dinner? A visit to Shaker Village of Pleasant Hil is an experience that offers a break from screen time. With 3,000 acres to explore and easy access to family-friendly amenities and activities, kids can simply be kids. 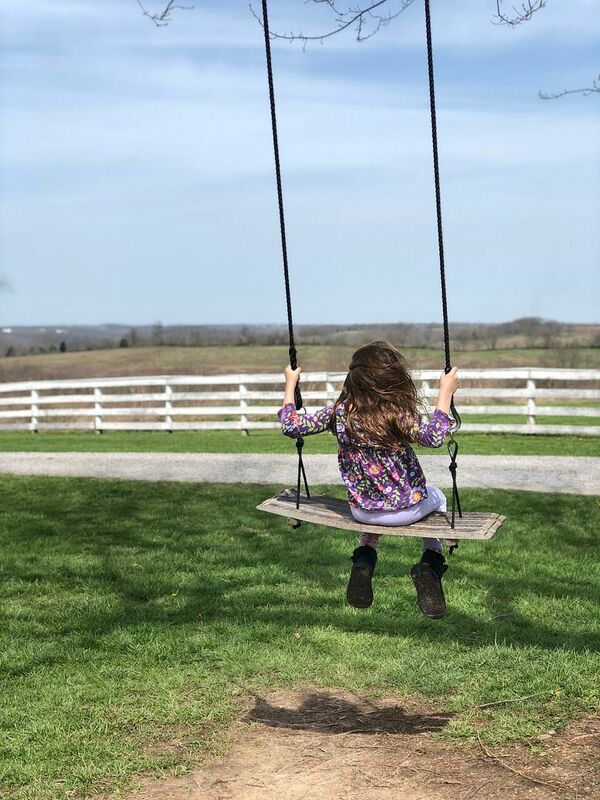 Whether you prefer a set agenda or an a la carte menu of activities, Shaker Village is a place where a family can unwind and take a break from the fast pace of daily life. 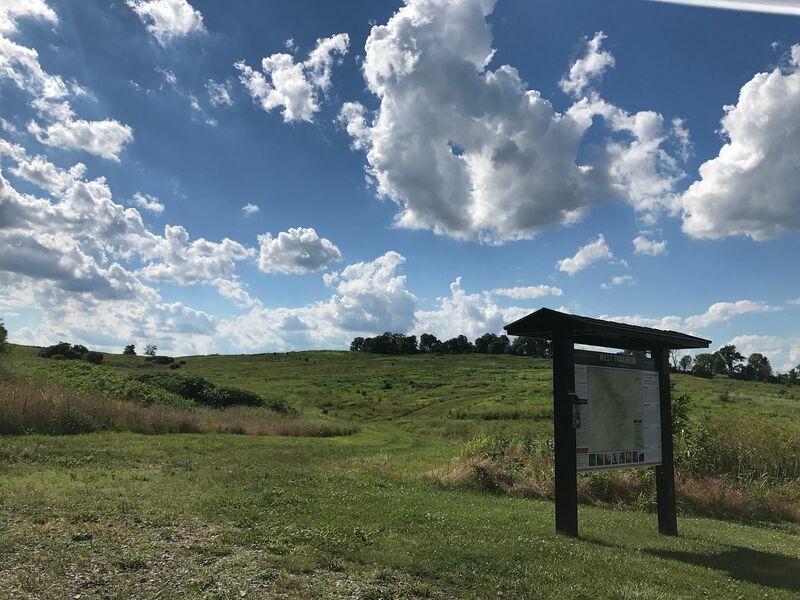 The nature of the site provides a relaxed atmosphere where families can picnic in picturesque settings overlooking native prairies and in a short distance of the Kentucky River. Families can also plan to attend guide led activities and tours held all day and into the evenings on Fridays and Saturdays. With a mission that includes land stewardship, Shaker Village is a destination that offers ample opportunities to spy on animals at the farm and within their native habitats. A visit to Shaker Village is likely to spark your child’s interest in monarch butterflies, pileated woodpeckers, runner ducks and more. With a hands-on approach, children will have the opportunity to assume jobs on the farm (with the guidance of tour guides of course). Don’t be surprised if they end up putting ducks to bed or collecting eggs from the chicken coop. Explore the farm and sample the flavors of the season. A 200-year-old kitchen garden has been transformed into a 2.5-acre sustainable farm just a few steps away from the restaurant. Farm guides are inspiring and give children an opportunity to discover where food comes from. Year-round, families can taste veggies directly from the garden and the greenhouse or in creative dishes at the Trustees Table, an on-site full-service restaurant. Looking for a more convenient bite? Healthy picnic snacks can be purchased at the Post Office Gift Shop from April to the end of October including sandwiches, salads, drinks and homemade desserts. It is unlikely that you will not take something away from a visit to Pleasant Hill. The people who developed the village were on a mission to create heaven on earth. Their vision included not wasting anything, eliminating chaos and living simply. What family doesn’t aspire to these ideals? Each season offers a different hands-on activity like making brooms, preserving strawberries or hand-pressing apple cider. 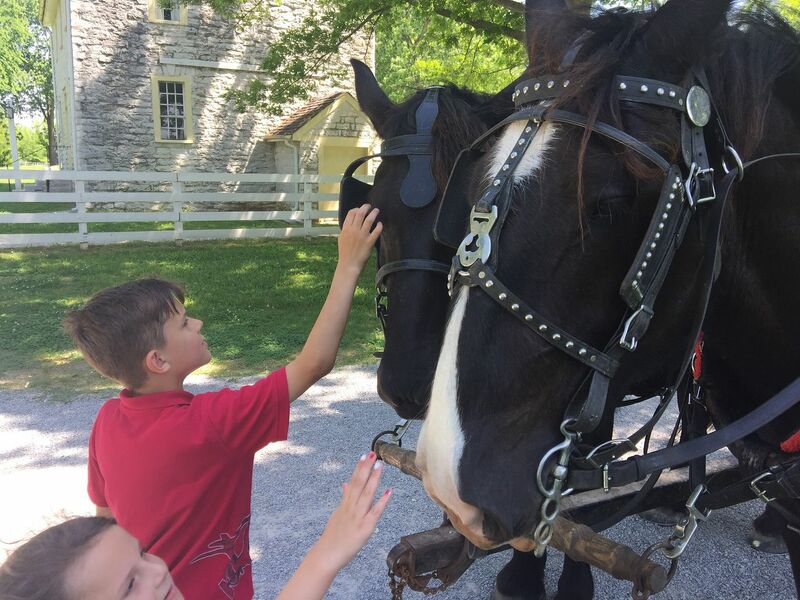 Whether you go to enjoy their weekend concerts on the lawn, celebrate someone’s birthday, take to the trails or ride the Dixie Belle riverboat, Shaker Village of Pleasant Hill inspires families to relax and be present. There are no worries about crossing busy roads, getting lost in crowds or finding a bathroom. Just park your car and set off on foot to enjoy time well spent just being together. Shaker Village is located seven miles northeast of Harrodsburg, a town voted by Smithsonian Magazine as one of the top 20 small towns to visit in American in 2014.